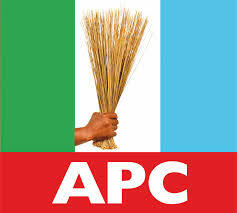 The All Progressives Congress, has confirmed Mr Nwachukwu Eze as the Acting Chairman of the party in Ebonyi State. The News Agency Of Nigeria reports that a High Court sitting in Abakaliki on Sept.28, struck out the case brought before it by a factional Chairman of the party, Mr Ben Nwaboashi. Nwaobashi had challenged his removal from office by the Eze-led faction and the court presided over by Justice John Igboji struck out the case for lack of merit, saying that the removal followed due process. Nwaboashi and Eze had been laying claims to the chairmanship position of the party since January until the Sept.28 ruling, which was in Eze’s favour. Chief Emma Enukwu, the APC South East Zonal Chairman, told NAN on Saturday that the zone had recognised Eze as the authentic chairman of the party in the state. “This is in line with the report of the committee set up by the party to review the lingering leadership tussle that had engulfed the Ebonyi chapter of the party.